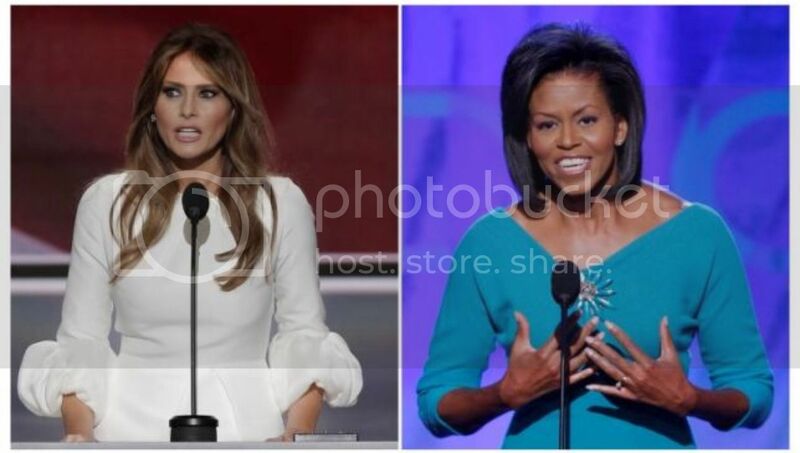 Melania Trump's speech at the Republican National Convention last night was literally stolen from First Lady Michelle Obama's DNC speech in 2008. Several parts of Mrs. Trump's speech were taken word for word from Michelle Obama's powerful message. This is a fact. Yet, Trump's campaign refuses to admit what was obviously done. Passages that were spoken verbatim by Melania Trump are being down played by Trump's campaign and conservative media. This is pathetic and weak on the part of Trump's campaign. If their team can't even hire a legit speech writer, what in the hell would his WH cabinet look like? Extra...Extra: Melania Trump stated in an interview with Matt Lauer the day of her speech that she wrote the speech HERSELF with VERY LITTLE HELP. Btw...The dragging continues on social media.